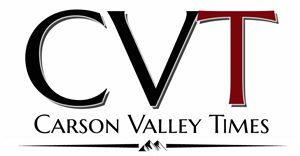 A celebration of life for longtime Gardnerville resident Jack Crandall is scheduled for 10 a.m., Saturday, Sept. 17, 2016 at Calvary Chapel of Carson Valley, 1004 Dresslerville Road in Gardnerville. Beloved husband, father, pastor and friend, Mr. Crandall, 63, passed peacefully to his eternal home with Jesus Christ on Sept. 12, 2016, surrounded by his family and under the care of the tremendous staff at Carson Tahoe Regional Medical Center. He was known as a kind, gentle and giving soul – faithful servant to his Savior, and a brilliant musician and songwriter. Mr. Crandall was born Feb. 4, 1953 in Glendale, Calif., and grew up in Mammoth Lakes, Calif. He graduated from Lee Vining High School in 1971 and later moved to Reno, where he led worship at Reno Christian Fellowship. While in Reno, he met and married his wife, Jill, in 1977. Mr. Crandall graduated from the University of Nevada, Reno, and moved to Gardnerville in 1981 when he began working as an engineering technologist at Bently Nevada. While his children were growing up, he coached locally in the American Youth Soccer Association and Carson Valley Girls Softball Association. He later ran his own business, Acme Computer Guy, in Gardnerville through 1999, when he joined the full-time staff at Calvary Chapel of Carson Valley, where he served as an assistant pastor and worship leader for more than 30 years. He led chapel on a weekly basis for Faith Christian Academy, delighting students with worship music, stories from the Bible and his “Not Magic” tricks. Above all, his first and foremost desire in life was that he would be used in any way possible to point others toward the love of Jesus. It’s a desire he lived out in word and deed every day of his life. Mr. Crandall is survived by his cherished wife of 39 years, Jill; his children Joseph and Megan Crandall, Amanda and Ben Dykes, and April Crandall; four beloved grandchildren; his mother Diana Crandall of Gardnerville; his sister Jylian Crandall of Gardnerville and his niece and nephew Natalie and Zak Brady. In lieu of flowers, donations can be made to the scholarship fund at Faith Christian Academy, 1004 Dresslerville Road, Gardnerville, Nev., 89460.